Prior radiology certification is required to take this course. Digital radiography offers the advantages of instant access, easy transmission, and manipulation of images to optimize brightness and contrast. This course offers an overview of the different types of digital imaging, including the CCD, CMOS, and PSP systems. Participants will learn sensor placement and infection control procedures while using digital sensors, image enhancement techniques, and tips for troubleshooting errors on digital images. 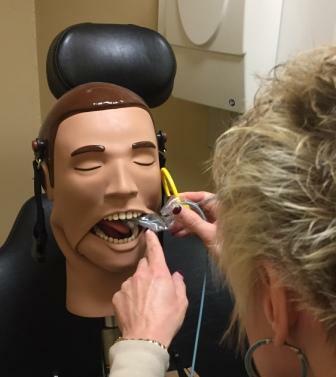 Participants will be able to take intraoral digital images on DXTTR and receive hands-on experience with image enhancement. 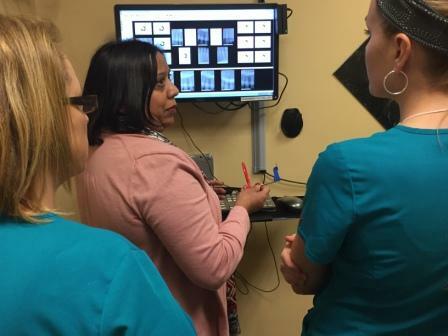 Participants will observe intraoral and panoramic digital radiography procedures in the college's radiology patient treatment center. This course satisfies the 2-hour CE requirement for OSDB radiology license renewal. "This was a very informational course. The hands-on was exceptional." "The class was amazing and very informative." "I learned how to correct errors I was having." "Learned tips that I didn't know...even after 45 years in private practice."